In my family, our pets are full-fledged members. And, thank goodness for them! They never come home cranky from work. They never have scheduling conflicts. They are always available to play, snuggle, console or just lend a furry paw. For all pets add to the harmony of a home and the security of a child, they ask for very little, merely kindness and attention. So appreciative pets are, for every effort and action, that extra special treats and considerations are likely not considered as often as they might. Even so, I am convinced, that my furry son can smell a new squeaky toy the moment I enter the driveway! Such an important aspect of loving our pets back is ensuring their health! From the necessary vaccinations and visits to the vet to selecting the best, quality food and treats, as well as safe equipment and playthings! In my quest to pamper my pets, I've discovered Loving Pets and their line of 100% Natural Treats and safe pet accessories. Loving Pets offers a full line of treats to pamper your pet, tastefully, with selections such as 100% pure meat jerky in a variety of flavors, and Vegitopia natural fruit and vegetable treats! No chemical additives, fillers or by-products! 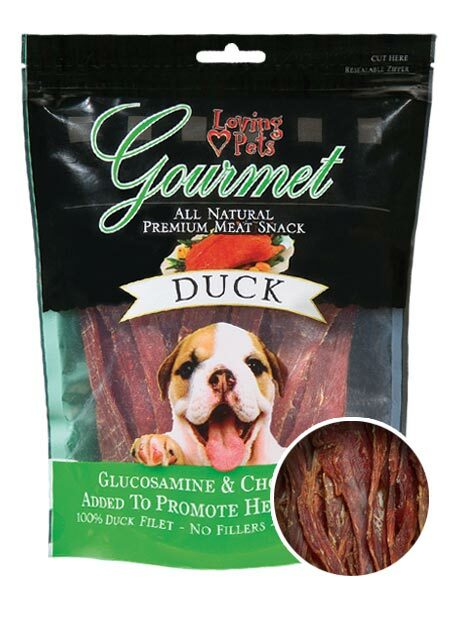 Beyond superior taste, the carefully selected ingredients in Loving Pets treats go beyond yummy ~ specific vitamins and natural additives are included for targeting important health benefits for your furry family members! Loving Pets not only offers fantastic, healthful treats to pamper, you can further "treat" your furry one to safe and stylish dishes and containers! Discerning pets agree, from the no-tip Ruff N Tuff collection to the chic line of Dolce Diners, these stainless steel, bacteria resistant and dish-washer safe selections are for perfect to the finickiest cats, as well as all the top dogs! My "in house" pet testing crew was graciously given an opportunity to test both sizes of the Dolce Diners. 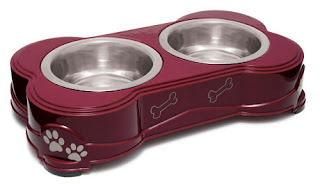 while our Lab felt the quart Diner in Merlot fit his spunky personality. The Dolce Diners are fabulous! The bases go beyond attractive, making the bowls easy to pick up for filling and cleaning. Spilled dishes and dinners are now a thing of the past! The fact that they are dishwasher safe is a tremendous extra benefit; the assurance that they are safe for my furry kids, a boon! 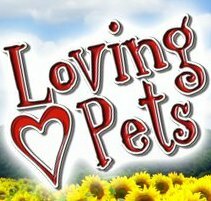 I further found the Loving Pets website to be full of helpful information! Be certain to check out the Pet Owners Corner for Homemade Dog Food Recipes, Expert Pet Training Tips, a guide to Naming Your Pet, as well as helpful information about Pet Health & Safety! Loving Pets is generously offering my readers an opportunity to win a Dolce Diner in their choice of size and color! To be eligible to enter this giveaway, you must publicly follow That's What She Said via Google Friend Connect, mid right sidebar. This giveaway is open to residents of the US & Canada, ages 18+ and will end on Saturday, July 9, 2011 at midnight EST. The winner will be randomly selected from all eligible entries and will be notified by email. The winner will have 72 hours to respond before I must move on to a runner up. Please leave your email address in your first entry comment, in anti-spam format, if it is not available via your comment name, so I may contact you if you are the winner. For mandatory entry, please visit the Loving Pets website and then tell me in a comment here a product you'd love to test on your furry crew or something helpful you learned there! * "Like" Loving Pets &/or That's What She Said on Facebook, leave a comment here with your Facebook name, 2 entries for each like. * Follow Loving Pets &/or That's What She Said (tsue1136) on Twitter, leave a comment here with your Twitter name, 1 entry for each follow. * Tweet about this giveaway, limit of three tweets per day, one entry per tweet. Leave comment here with a link to your tweet. * Enter any of my other active giveaways and leave a comment here letting me know which. 2 entries per additional giveaway. * Share this giveaway in some other fashion: post on Facebook, stumble, digg, technorati, blog, add to giveaway linky... leave a comment here with a link to your sharing. 3 entries per sharing! Handy share button at bottom of post. * Subscribe to Loving Pets newsletter, to That's What She Said via email or RSS feed (mid right sidebar) and leave comment letting me know which. 2 entries each. * Tell me about your pet: something funny your pet did, how you got your pet, how you chose a name, what kind of pet you'd love to get, 2 entries. * Have a great homemade pet recipe? Share it here! 3 entries. The winner has been emailed and will be announced soon! 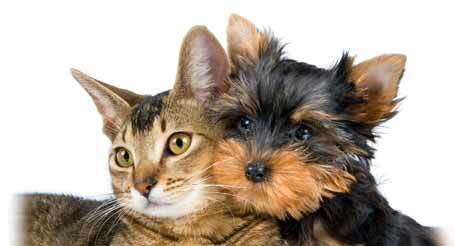 On behalf of Loving Pets and That's What She Said, thank you to all entrants for following and participating! We appreciate you! I was provided with two Dolce Diners to explore for the purposes of creating this feature. The opinions above are both honest and my own. Images and information taken from various Loving Pets sites. Giveaway prize is supplied and shipped by sponsor. Facebook is not associated with nor responsible for this giveaway in any fashion. I seen they have coop cups, and they bolt on which is great because if they don't she picks them up and pitches them. Their Stainless Steel which is great and have Bolt Holders these would be perfect for Jacy my parrot. well I put one too many entered in the Like Mother Like Daughter.. so, as to not mess up the count, I'll only do x2 on this share when I could do 3 that will even it back up. hope that works for you.. number of entries will still be the same. Thank you for requesting a subscription to Loving Pets News. Then there is Jill, She's registerd as "Lady Jill ___ my last name" She is my German Shepherd She is 3 years old and she's my baby and one of my best friends. take it out cut it up and freeze it..
We have 3 pets. All rescue. My mixed breed Angel was found as a puppy in a ditch, my pug (the funniest dog ever) was from a bad puppy mill originally and her back legs didn't grow right, but we got her from an old lady that was going to put her to sleep simply because she couldn't have her anymore. And my kitty, she was on her way to the pound. 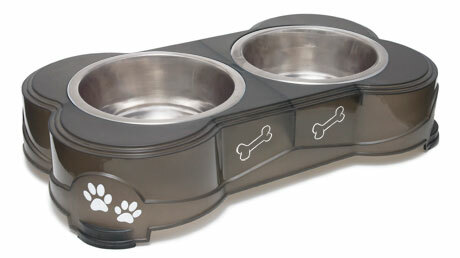 I really like the Bella Canisters- which would be perfect for Nellie's treats. At the Loving Pets website, I really like the Bella Canisters. They would be great for storing treats and are attractive enough to put on your kitchen counter. I am a fan of Loving Pets on Facebook. I am following Loving Pets on Twitter. I am subscribed to receive the Loving Pets newsletter using dod@rogers.com. It is funny how we chose our little dog's name. When we got him home, we quickly discovered that he was the fastest puppy on the planet! He could move so fast that you could not catch him if he did not want to be caught. The second day we had him, our Son said he was 'faster than a speeding bullet'. His name was picked, only we spell is Bullitt. It is a also a cool name because Bullitt is one of my Husband's favourite movies. Bullitt is 8 years old now, but he has not slowed down one bit! I already follow you via GFC (Cataroo) and I would LOVE to try the Bella Bowl! This sounds perfect for my messy Basset Hound! I have 4 pets (3 cats and 1 dog). My Basset Hound (Jackson) got his name from the movie "Steel Magnolias". My Mama cat (Bobbette) got her name because she is a bobtail! My middle cat (Ally McSqueal) got her name because she squeals whenever you pick her up. She's also known as Gator, not just because she is so BIG, but because the kids started calling her "Ally-gator"! My youngest cat (Rustie) got her name because she is an orange tabby! I follow on GFC and learned As a growing part of the pet industry they working hard to educate pet owners and continue to donate to pet shelters and rescues. My Pug Pansy got her name because her scrunched up face looks just like a Pansy. I follow you on GFC as cstironkat and I like the adorable Bella Canister. #1 I "Like" Loving Pets on FB as Kelly Ann T.
#2 I "Like" Loving Pets on FB as Kelly Ann T.
I follow Loving Pets on twitter as cstironkat. #1 We adopted Kouga from Illinois Alaskan Malamute Rescue Association and we are so blessed to have him as part of our family. #2 We adopted Kouga from Illinois Alaskan Malamute Rescue Association and we are so blessed to have him as part of our family. I am following you via GFC (christie roberts). I would love to try the Stainless Steel Litter Dish! Daisy and Daphne are my two rescued pups :) Daisy is almost 13 and Daphne is 4. 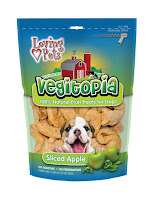 I would love to try their Gourmet Carrot & Chicken Wraps Dog Treats for our little dog Buddy. #1, We got our Yorkie from an abused shelter, he was very skittish for the first three months but warmed up to us. He will even smile at everyone who calls to him. Such a sweet baby and so happy we got him. #2, We got our Yorkie from an abused shelter, he was very skittish for the first three months but warmed up to us. He will even smile at everyone who calls to him. Such a sweet baby and so happy we got him. I love the Artistic Embossed No Tip Pet Dishes - Patina Green color.